Edward Snowden’s life as a robot seems pretty cool (“Snowbot”! ), but for an upcoming event for Oliver Stone’s biographical thriller Snowden, a different technological marvel will be used to get him in attendance instead. 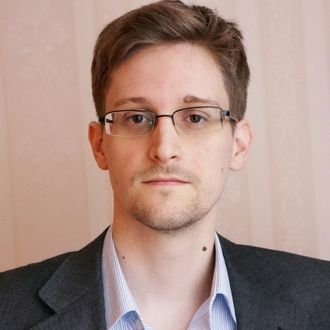 On September 14, the whistle-blower himself will appear live via a satellite from Moscow to attend Snowden Live, a special screening event that will also feature Stone live via another satellite from New York City. The event will occur at 700 select theaters across the country at 7:30 p.m. EST / 6:30 p.m. CST, which will include an advance screening of the film followed by a live, 45-minute interview between Snowden and Stone. (It’ll be tape-delayed in the Mountain and Pacific time zones.) Hey, maybe the two of them can talk about Pokémon Go!